Looking to change your job and find more meaningful work? Maybe you don’t know what to do next because you were suddenly laid off? I know how scary this can feel! After years of hard work, my company laid me off after 15 years. As difficult as it was to face unexpected change, there was a silver lining: I took time to pause and think. What had I been doing? Where was I heading? Did I even like my old job? After reflection, the honest answer was NO. I came out better and stronger after my layoff because I took the time to reboot and course correct my path. And you can too. That’s why I wrote Layoff Reboot–to help people like you find your way. Whether you lost your job too, or you’re stuck in the wrong job and contemplating a change, this book can help. 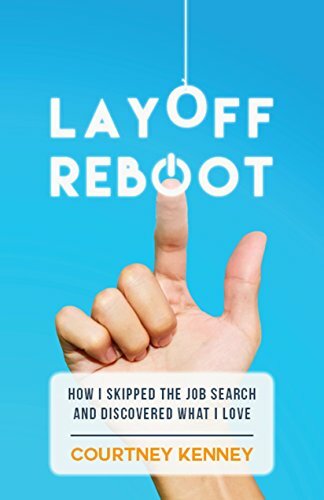 Layoff Reboot is a step-by-step guide for discovering what you love to do. Add your email below to get your free companion workbook! It’s a PDF that you can use to follow along for your own reboot. You’ll be signed up to receive my email newsletter going forward which you can opt out of at anytime.